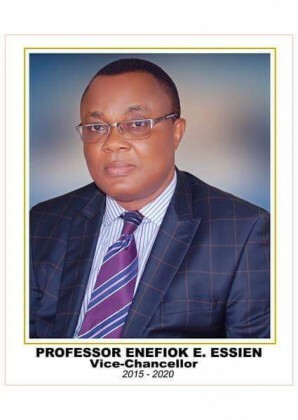 The Vice-Chancellor, University of Uyo, Prof. Enefiok Essien, has called for skill-based courses that would promote entrepreneurial skills in the nation’s tertiary institutions. Essien made the call on Monday at the inauguration of the United Nations Reading Hub and an unveiling of the Model United Nations Association, University of Uyo Chapter, in Uyo. According to him, with the foundation in entrepreneurial skills, hunger and unemployment will be reduced. He said that the country was vigorously pursuing functional education which is based on entrepreneurial skills. He said less emphasis should be placed on the acquisition of degrees, diplomas and certificates, adding that laying the foundation for entrepreneurial skill acquisition would lead to positive change. “It will bring about the timely actualisation of the 17 Sustainable Development Goals (SDGs) by the year 2030. “With proper education, individuals will have more entrepreneurial skills and reduce poverty to the barest minimum,’’ Essien said. He said that education was the surest vehicle for effective change in any society. “In Nigeria, education in this sense means functional education that is skill-based and entrepreneurial learning; it is not the acquisition of degrees or diplomas and certificates,’’ Essien said. He described the partnership as unprecedented, saying that the United Nations Reading Hub was the first of its kind in Nigeria. The VC said that the university community would benefit from the programme as well as all those seeking for knowledge. “The Reading Hub is conceived as a one-stop resource centre for news, notices, appointments, opportunities, circulars, conventions, protocols, treaties, instruments and up-to-date information from the UN. “The vast information bank will be beneficial to students and staff of the institution and all the knowledge seeking public. “The provision of this reading Hub follows the elimination of illiteracy and enhancement of education, which are significant maps of the UN Sustainable Development Goals,’’ he said. Earlier, Mr Uwem Otu, the President, Africa Youth Movement and Director, Executive Committee, UN NGO, thanked the university management for opening its doors to the association.